" Sri Lanka delegation with the Dr. Andrea Razeto (04th from extreme left), Vice President of UCINA." The Department of Commerce (DOC), jointly with the Sri Lanka Embassy in Rome and the Consulate in Milan under the guidance of the Minister of Industry and Commerce Hon. 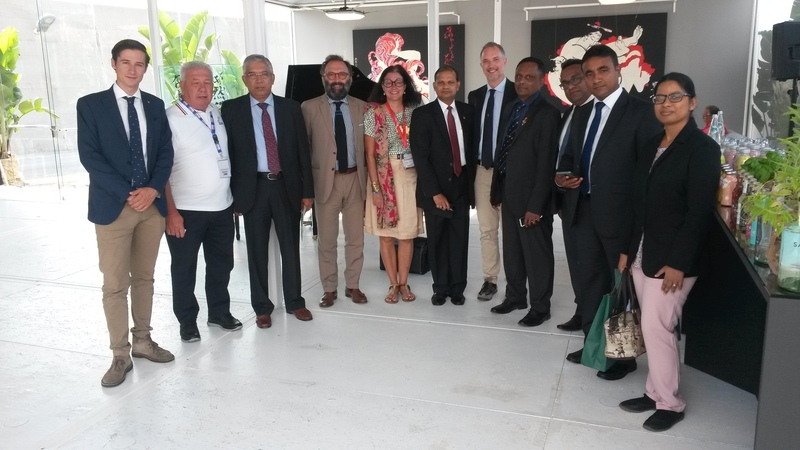 Rishad Bathiudeen organized a visit of Sri Lanka private sector delegation to the 58th Genoa Boat Show (GBS) on 23rd September 2018, including the Managing Director of BTI Mr. Gamini B. Herath and pioneer boat manufacturers in Sri Lanka.GBS is one of the biggest international boat show in European region that exhibits manufacturing of all kinds of boats, mainly yachts and pleasure crafts and also boat accessories. 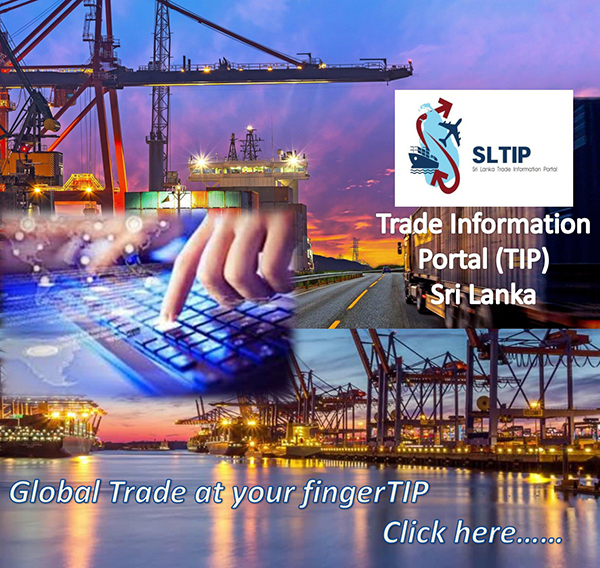 Sri Lankan exporters of food products such as Ceylon tea, coconut products, spices and allied products and food preparation are targeting the Australian market to increase the country’s food product exports to Australia. Twenty Sri Lankan exporters took part in Fine Food Australia 2018 in Melbourne from 10-13 September. 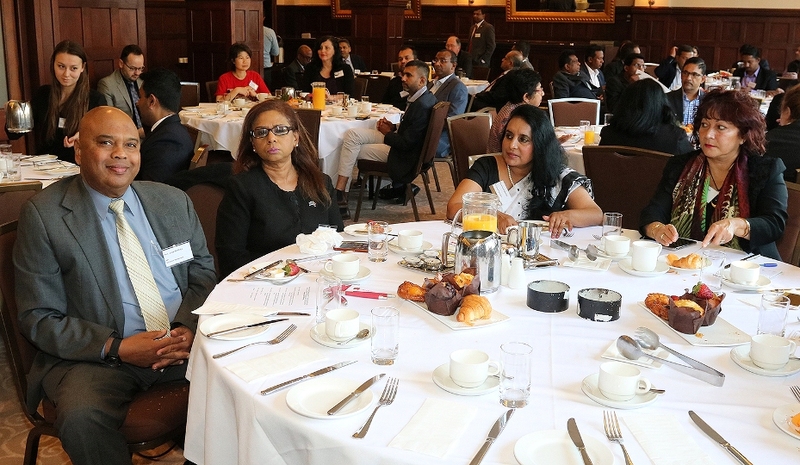 The Sri Lanka Tea Board, Coconut Development Authority (CDA), Ministry of Social Welfare and Primary Industries organized Sri Lankan pavilions in collaboration with the Consulates General of Sri Lanka in Sydney and Melbourne. Under the Coconut Development Authority, Whicy Plantation Companies Ltd, CBC Natural Food Ltd, Madampe Mills Ltd, NDC Exports Ltd. and Crown Coconut Ltd. put up their stalls and displayed coconut products including desiccated coconut, virgin coconut oil, coconut milk, coconut cream, shredded coconut chips, king coconut water, etc. Sri Lankan coconut exporters were led by the CDA Chairman and Marketing Director.